What does it take to build the perfect product page? To elevate your products on the digital shelf, you must first look to the web site page. Consumer attention spans are shrinking, ecommerce competition is at its most fierce, and the ever-evolving online ecosystem eludes many brands and retailers. 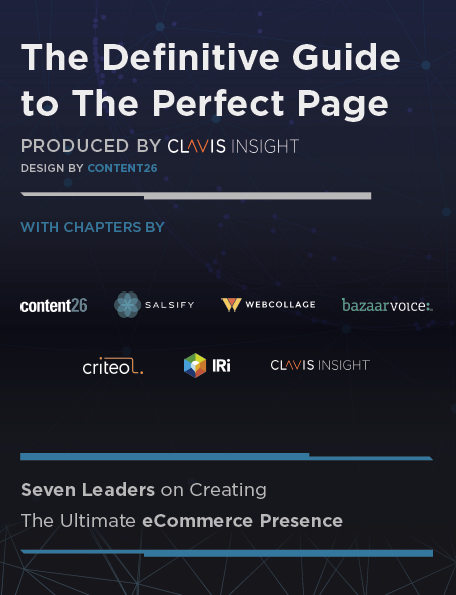 The Definitive Guide to the Perfect Page is ripe with accessible and effective starting points for optimizing e-commerce within any sized brand or retailer. We partnered with six other ecommerce companies to co-author this eBook. Here are three important takeaways from The Definitive Guide to the Perfect Page. 1. Collect consumer generated content. There is no such thing as collecting too much content, and retailers and brands should actively collect a stream of fresh CGC to build trust. Consumers want to know that people are buying and loving your products today, and will seek out customer reviews that are recent and relevant. 2. Add enhanced content. Studies show adding enhanced (Amazon calls it A+ content) content can increase purchase intent by up to 20% depending on the product. But you need to understand both your brand and your product in order to create effective enhanced content. We normally recommend that brands look at the 20% of products that have the most sales and prioritize those for enhanced content. 3. Democratize product content. 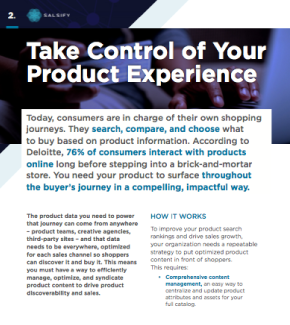 A centralized source of product content can enhance more than your eCommerce efforts. Use product data to collaborate better with third-party manufacturers, sales teams, creative agencies, and other partners. These three insights are just the beginning. Download the full eBook to get insights on content creation, content optimization, driving site traffic, calculating ROI and optimizing cross-channel growth.